A showpiece reflective of this construction giant. Following the success of John Holland’s Sydney workplace, FutureSpace was appointed to design the new executive workplace in Melbourne. The brief was to create a showpiece that truly reflected the infrastructure organisation as proudly Australian, innovative and successful. The workplace stands as John Holland’s strategic centre, reflecting their culture and representing their future direction and aspirations. The flexible workspace keeps to a minimum individual footprint and also provides for a variety of work styles. A selection of meeting rooms and offices complement the work zones and collaborative working hubs. Meeting rooms and offices feature floor to ceiling glass panelling and graphics that serve to further strengthen the transparent culture. 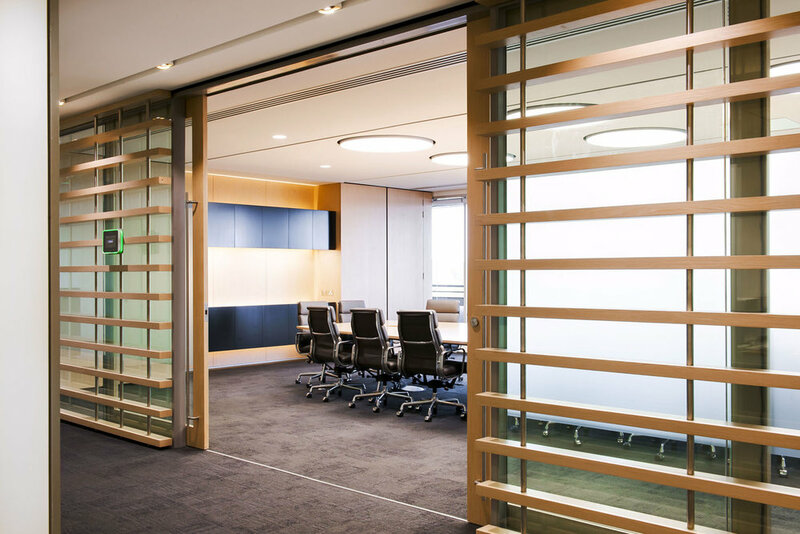 Closed offices are provided for quiet times and small meetings when privacy is required. 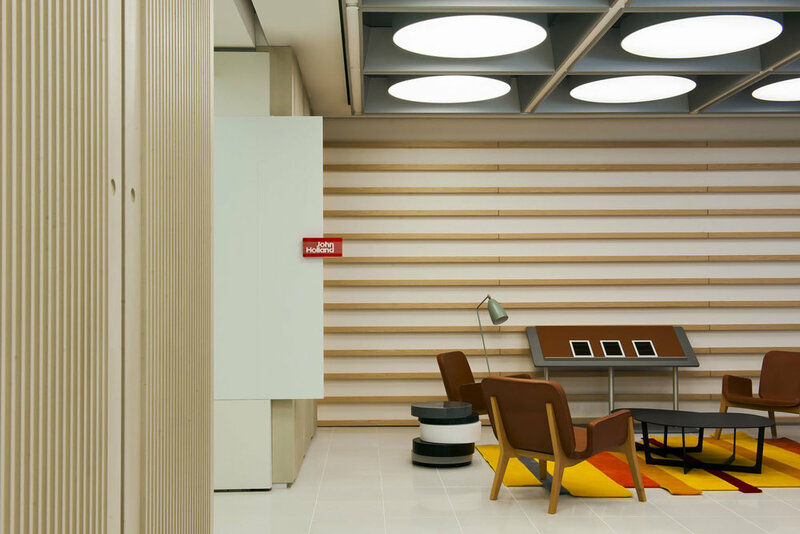 futurespace designed John Holland’s workplace as a showcase to highlight their products and projects. The selection and modern use of materials included stone flooring, timber screens, glazed walls, alucabond panelling and concrete panels. 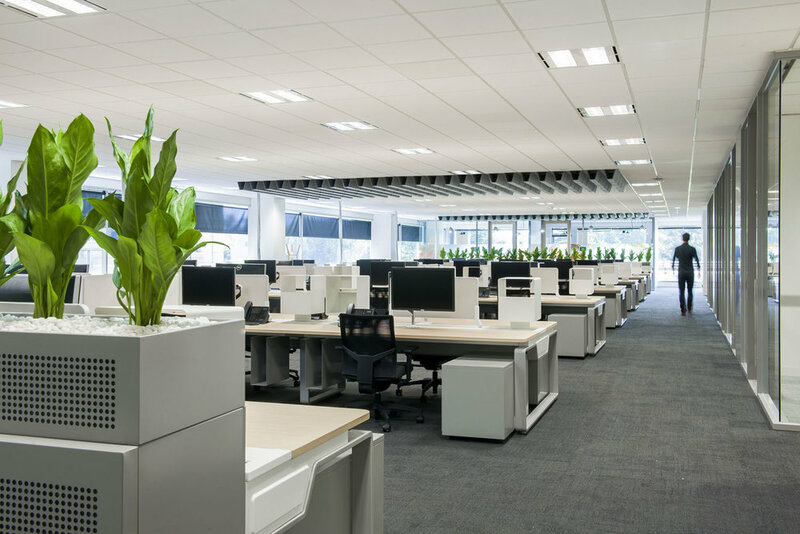 The materials selected represent those used in John Holland’s infrastructure projects and are now used sympathetically in their workplace environment.